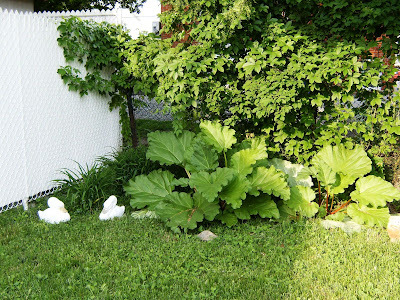 Rhubarb is one of those garden yieldss that forces you to be creative. What to do with all that rhubarb staring at you from the corners of your yard? Well, my latest use for it is making a shrub. No, not the plant, the drink! 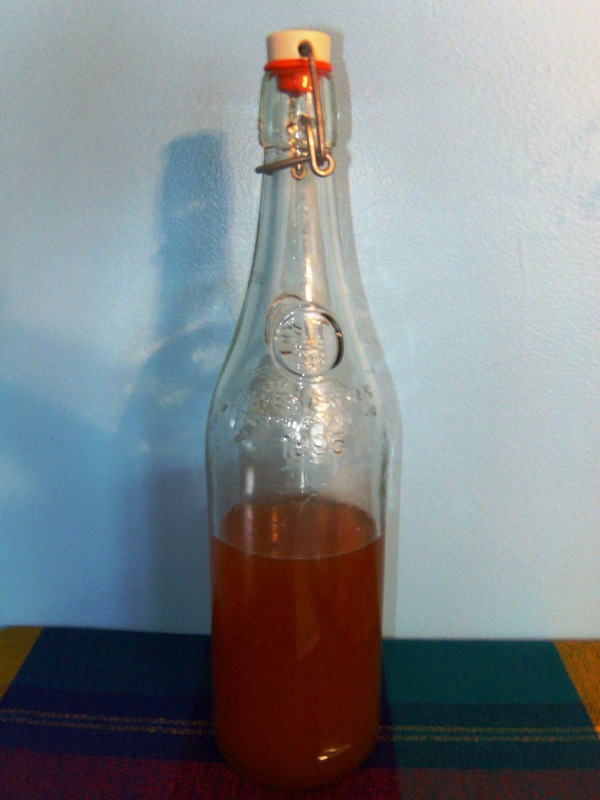 According to Sandor Katz' (aka Sandorkraut) book Wild Fermentation, a shrub is a vinegar based fruit drink that was popular before carbonated soft drinks. I followed the basic recipe from Torontonian food bloggers at Well Preserved. Rhubarb shrub: a great refreshing summer drink! I like to drink this as a mix of 1 part shrub and 4 or 5 parts Perrier water. It would also be interesting to play with different flavoured vinegars, i.e. apple cider vinegar or pineapple vinegar. If you like the taste of rhubarb, this drink is for you!